The desert rockers Terakaft are playing at Joe’s Pub on October 19th at 11:55pm and we’ve got a pair of tickets that you could win. Just send us an email at info@afropop.org with the subject line “Terakaft Ticket Giveaway” and your name for a chance to see the Saharan group live for free. Terakaft, which means “caravan” in the Tamasheq language, was formed in 2001 by Sanou Ag Ahmed, who learned to play the guitar as a young refugee in Tamanghasset. 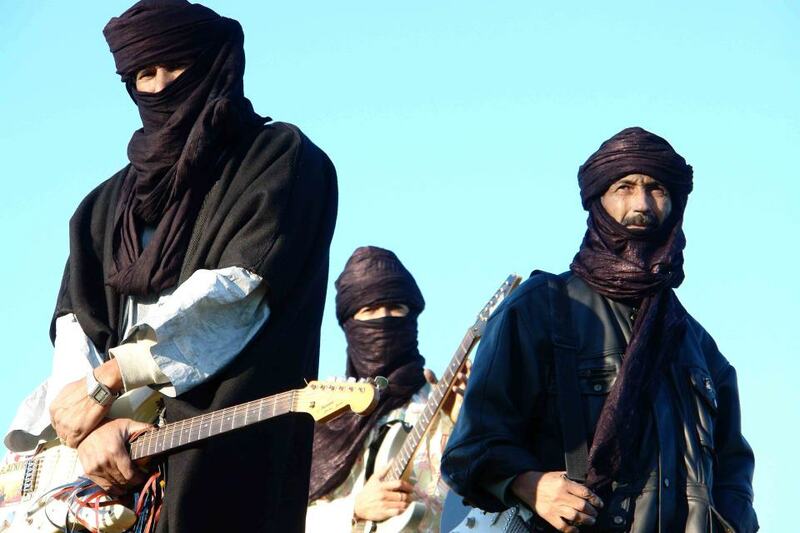 Terakaft has deep ties to the now legendary group Tinariwen. Sanou founded Terakaft with Kedou, one of Tinariwen’s formative members. The group is currently led by Sanou’s uncle Liya Ag Ablil AKA Diara, another formative member of Tinariwen. Diara and Sanou both played on Tinariwen’s 2009 album Imidiwan: Companions, and Sanou contributed the song “Iswegh Attay” to Tinariwen’s latest record, Tassili. Terakaft’s own last album, 2012’s Kel Tamasheq means “Speakers of Tamasheq,” a term often preferred for self-designation over “Tuareg.” Though they have roots in the same Ishumar tradition as Tinariwen, Terakaft have developed a style of their own-- a distinctively fast-paced electric guitar-based sound. Check it out for yourself in the video below.